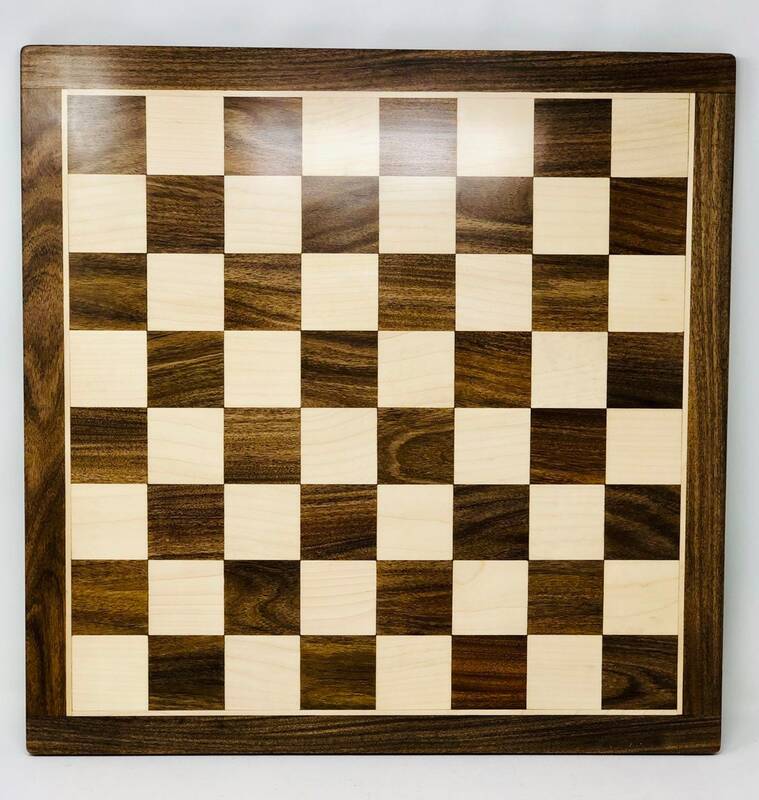 Rosewood and beech wood Chess board. Very decorative and tasteful for its decorative frame. 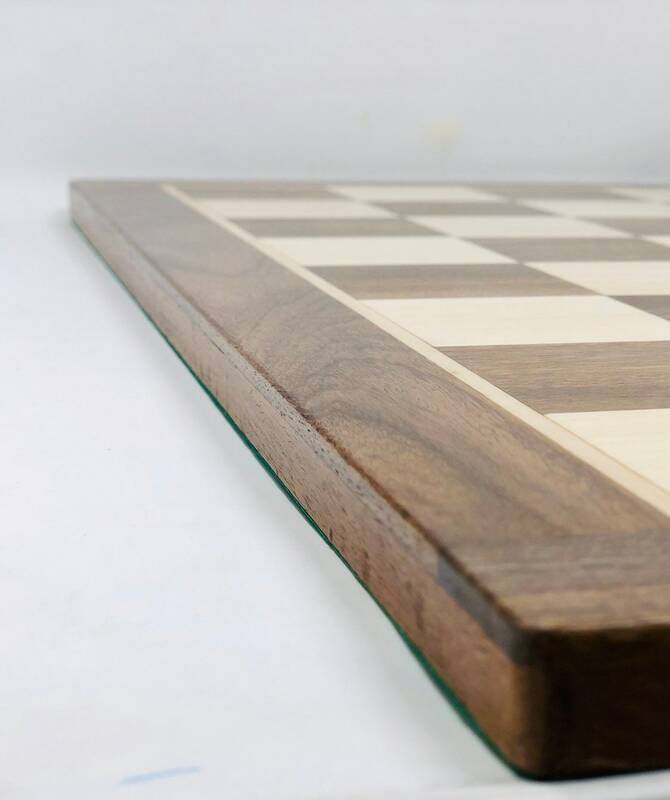 A slender board perfect for large pieces of wood. 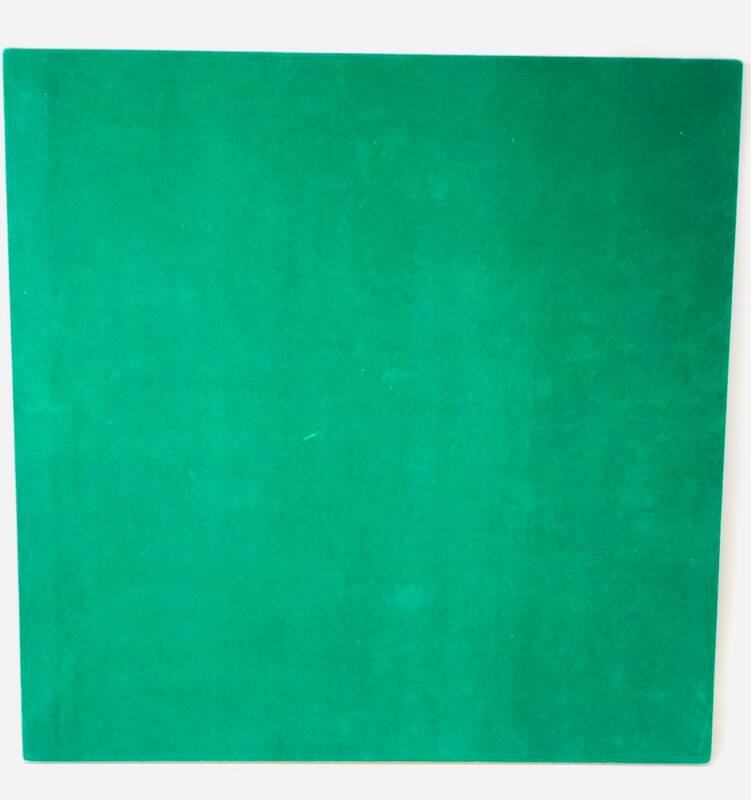 Backside of Green felt. 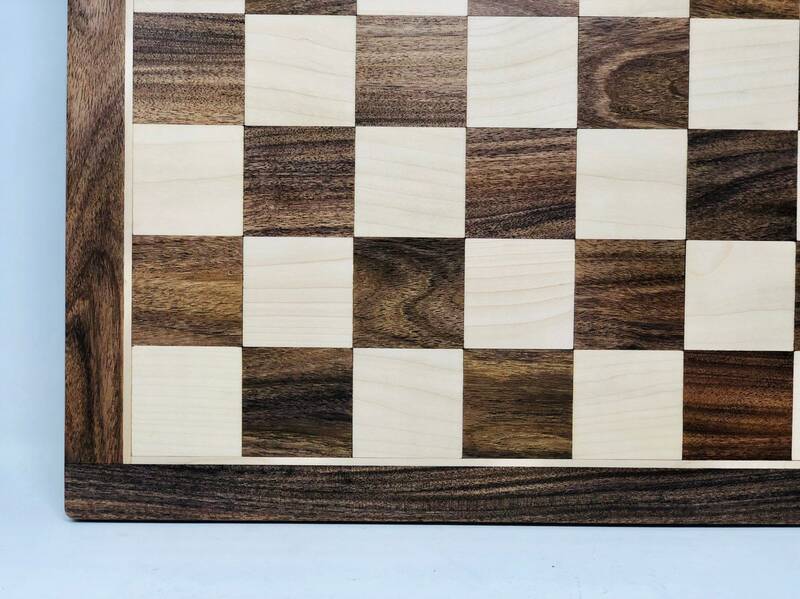 Very functional and noble wood of good weight.